• Add nut butter (peanut, almond, etc) or an egg to your cereal to boost flavor and protein and really kick start your day with a breakfast that will fuel you until lunch. • Add some flaxseed meal, chia seed, hemp seed or pumpkin seed to increase your fiber and omega-3 intake to support a healthy heart. • Fresh, frozen or dried fruit also make a great addition to boost flavor and add vitamins and antioxidants. • Add a few tablespoons of canned (or fresh) pumpkin for a decadent, holiday-themed breakfast. 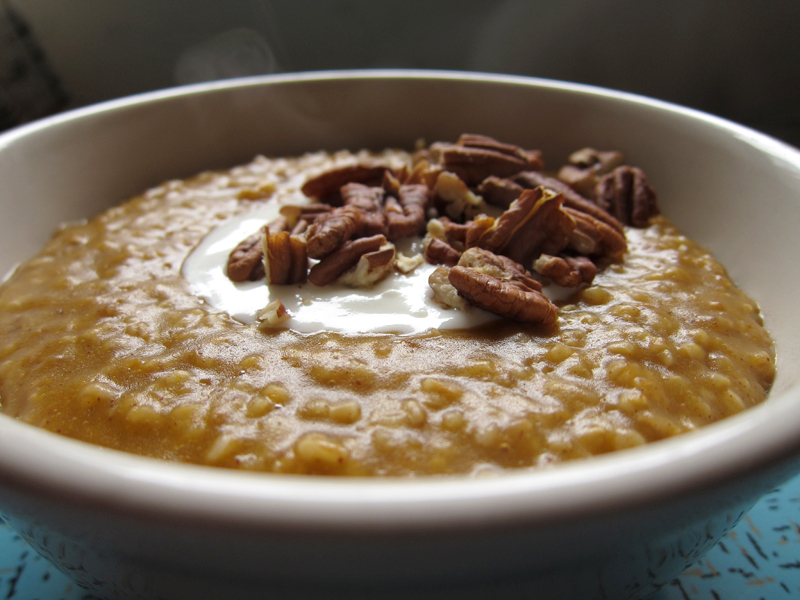 Pumpkin is loaded with Vitamin A, Potassium, Zinc and protein, making it a great addition to a whole grain breakfast. • Adding a sprinkle of cinnamon to your cereal will help stabilize your blood sugar, not to mention that a little cinnamon can add a big flavor boost. • Take it savory! Try this: add shredded cheese, sliced green onions, a dash of salsa and top with an egg for delicious and healthy Mexican dish. Enjoy! Makes you think of other things you could do with it.....Maybe left over yams, adding some cooked acorn squash and cinnamon.. Thanks, I think I'm kind of hungry for breakfast tomorrow morning already. I'm going to have to try the pumpkin. Sounds good. eSounds yummy with the pumpkin, cinnamon, yams and all!